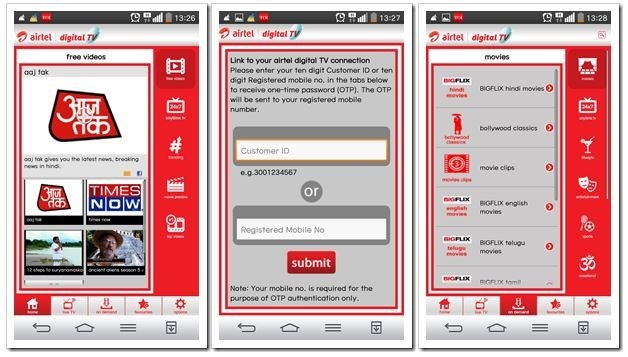 Bharti Airtel, India’s largest telecom operator, has launched a new Android App called “Pocket TV” that enables app users to stream and watch 150 TV channels on their mobile phones. Launched yesterday on Google play store, this app offers live channel streaming as well facility to view TV series episodes that have been beamed previously. The app also has a library of over 10,000 videos that users can filter and watch. 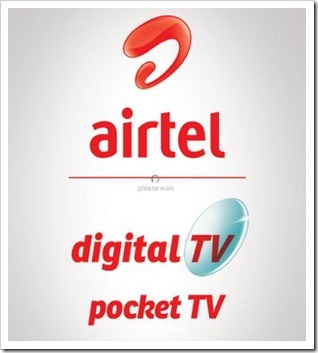 The Airtel Pocket TV service is available at a price of Rs. 60 per month. Pocket TV App works with all mobile networks. Available Only For Airtel Digital TV Subscribers? We are not sure whether Pocket TV service is limited only to Airtel Digital TV subscribers or is available to others as well. When we download the app we could view free channels/Videos without any registration. However, when it came to watching certain channels and videos, it did ask for registered Digital TV subscriber number and mobile number. So we could not test it out any further. However, the free channels that were available streamed well on 3G network without any buffering, and quality of picture was quite good as well. See the screenshot below to see how TV looked while viewing on mobile. In our opinion, Pocket TV is available only to Digital TV subscribers, which begs the question as to why can’t they offer it to users who are not on Airtel Digital TV. It is a subscription based service and should be available for all. 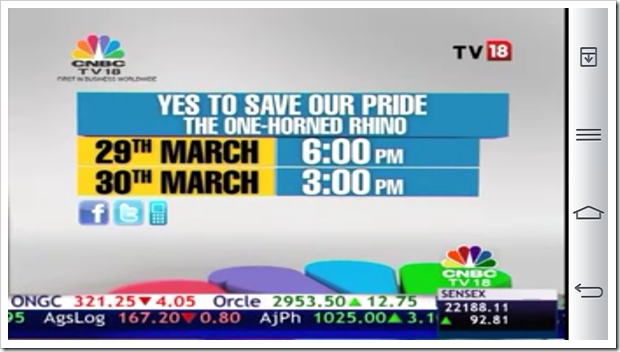 One of the reasons might be the Broadcasting policies in place that put restrictions on beaming live TV channels without Set Top Box. Mobile Internet is growing at a ferocious pace, and 3G usage is nearly doubling year on year. For mobile networks, offering such mobile content gives them double advantage. One is that viewing multimedia content like this increases users’ mobile internet consumption and at the same time they make money through subscriptions of such apps. Give Airtel Pocket TV a spin and let us know what your feel! Arun do you know about any app on which I can play channels of other countries also. I mean UK, USA and Australia. And if such app is not available, please tell me a site on which I can watch channels of foreign countries.